David Munrow, and the Early Music Consort did some work for The Tears of Night by Elizabeth Lutyens whose bio is below. English composer. Her works, using the twelve-tone system, are expressive and tightly organized, and include chamber music, stage, and orchestral works. Her choral and vocal works include a setting of the Austrian philosopher Ludwig Wittgenstein's Tractatus and a cantata The Tears of Night (1971). She also composed much film and incidental music. The youngest daughter of the architect Sir Edwin Lutyens, she married the BBC director of music Edward Clark. In a lecture at Dartington in the 1950s she coined the term ?cowpat music? to describe the work of those early 20th-century English composers who had turned to pictorial pastoralism in their music. Her works include the opera Infidelio (1956) and Fleur du silence for tenor and ensemble (1980). Her autobiography A Goldfish Bowl was published in 1973. She studied viola and composition at the Royal College of Music in London, the latter with Harold Darke, and later with Caussade at the ?cole Normale de Musique in Paris, France. Description on the The Tears of Night. For Counter-Tenor, 6 Sopranos and 3 Quintets. Quintet 1 - Treble Recorder, Lute, Bass-String Viol, Regal/Flute Organ, and Percussion. Quintet 2 - 2 Trumpets, 2 Trombones (1 Tenor, 1 Bass), and Double Bass. Quintet 3 - Flute, Clarinet, French Horn, Violin, and Cello. 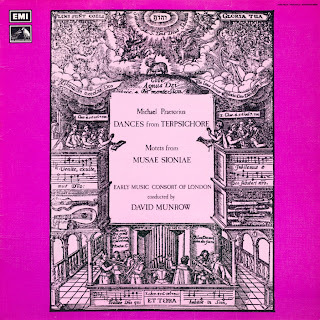 First performed by James Bowman, Early Music Consort Of London, directed by David Munrow, Sinfonietta Chorus and Orchestra, conucted by David Atherton, 3rd March 1972. A Rare Recording, and Bruno Turner.